This handpicked ensemble of amazing musicians present a high energy programme ranging from wild and driving polyrhythmic workouts to delicate moments of stillness, drone and quiet introspection featuring some of the most outstanding contemporary performers working in new music today. Decibel premiere Ed Bennett’s substantial new work for cello, electronics and amplified ensemble ‘Song of the Books’ alongside works written especially for the group by maverick composers Laurence Crane, Egidija Medeksaite and a brand new work by Leo Chadburn. Decibel gratefully acknowledges the support of the PRSF Composers fund. 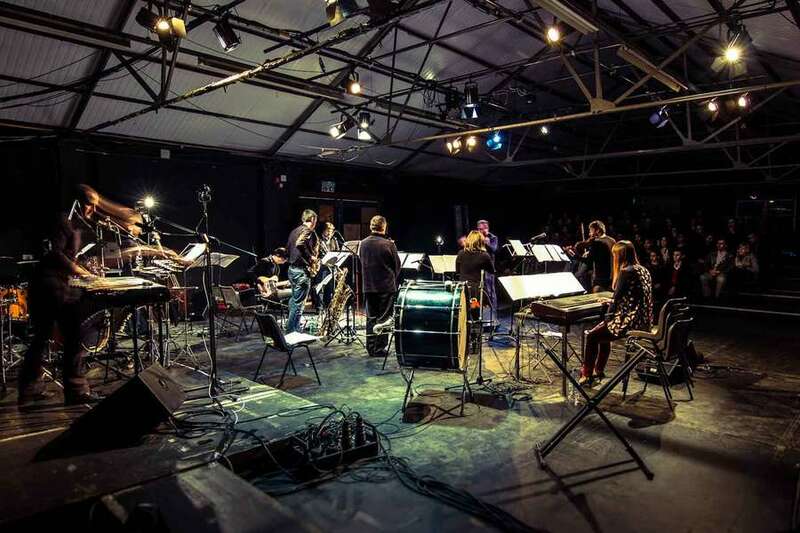 Co. Down-born Ed Bennett’s body of work includes large-scale orchestral works, ensemble pieces, solo works, electronic music, opera, installations and works for dance and film.